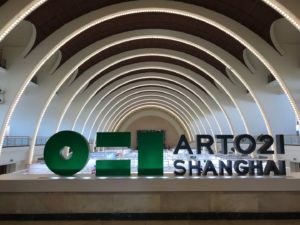 Fast forward to 2018 and the brutal honesty of this statement seems more poignant than ever, with last week in Shanghai welcoming the return of the city’s biggest art fairs, Art021 and West Bund Art & Design. 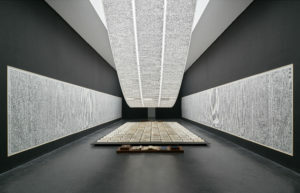 Both were back and bigger than ever, with a stark determination to look to the future: West Bund Art & Design opened a second, enormous hall which has allowed it to feature 87 galleries in its main section, up from 39, while Art021 hosts 103 galleries at the Shanghai Exhibition Centre and reserves half of these places for Chinese galleries. Moreover, apart from a purely scale-based perspective, the Chinese art ecosystem in every aspect appears to be growing in its complexity and sophistication. We need look no further for evidence of this than David Zwirner’s booth at West Bund Art & Design where the gallery rebuffed art fair convention and chose to present a one-artist, one-work booth – a seemingly high-risk strategy in a commercial forum. Bathing the booth in an almost extra-terrestrial glow of fluorescent lights, Dan Flavin’s Untitled (to Sonja), 1969, quickly became one of the fair’s most memorable images as crowds entered the booth, desperate to capture the work on camera. Yet, selfies aside, this work was indicative of the gallery’s respect for the art market in China. First featured at MoMa, New York, as part of a significant group show from 1969-1970, the fair marked only the third time this seminal work had been shown to the public to date. This commitment to its collectors and the market in China is at least part of the reason David Zwirner topped this year’s highly anticipated ArtReview Power100. 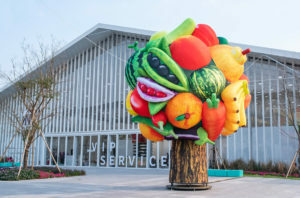 Outside the buzz of the fairs, Shanghai played host to a number of important international artists, many of whom were being shown in China for the first time. Fosun Foundation was filled with Cindy Sherman’s unsettling self-portraits, while Xue Bing’s Pond Society aired the work of Ryan Trecartin to Chinese audiences for the first time. Created almost 10 years ago, before the age of photo filters and douyin, the movies comprising RE’SEARCH WAIT’S feature heavily painted bodies and dated special effects, but with a searing portrait of a self-indulgent, insecure generation of young people surrounded by screens and communications devices, the films haven’t aged a day, and now, they seem eerily prophetic. Elsewhere, things continue to be on an upwards trajectory for our institutions too. Following its 2017 restructure, Beijing’s UCCA has re-emerged stronger than ever. 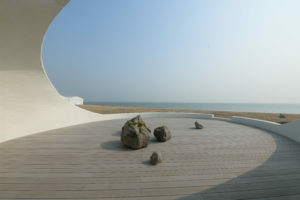 This year marked several huge milestones in the museum’s history, including an incredibly ambitious retrospective of the artist Xu Bing which closed last month, the opening of its first branch museum UCCA Dune in subterranean Beidaihe, a larger commitment to international endeavours marked by a Cao Fei exhibition at Hong Kong’s Tai Kwun, an extensive brand refresh and a renovation of the 798 flagship’s façade. 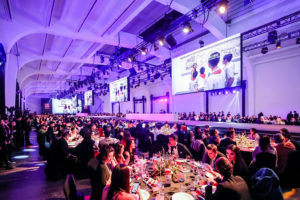 The sheer magnitude and pace of everything that has happened in the last 12 months came together with finesse, and a generous helping of Met Gala Glamour, at the institution’s annual gala fundraising dinner, where the institution announced that a new non-profit status had been approved by the Beijing Municipal Bureau of Culture, ensuring UCCA can more actively deepen its commitment to public outreach. For those who argue the pace of change is too rapid to maintain quality, there are a select number of interesting initiatives actively placing themselves on the front line to analyse these developments. 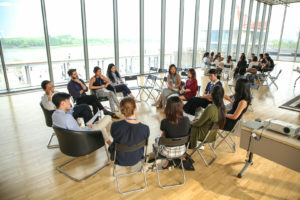 Museum 2050, whose June conference earlier this year considered the future of the institutional landscape in China, also provided at the time a series of workshops held by leading cultural professionals with attendees from museums in the Greater China region to encourage community connections and enhance professionalism across the ecosystem. Their upcoming event at Hong Kong’s Asia Society on 25 November, continues to ask questions about the extent to which institutions in Asia should support each other, aptly titled, ‘Do we have to?’. As in any developing art market, questions will continue to be asked about who will survive and who will no longer have a place in this expanding ecosystem. What remains clear though, is that at both an art market and institutional level, China is shifting up a gear, and it’s a place the world should watch with interest.